After finding a lump in her breast only 5 weeks ago, my good friend Gillian Hinton has been diagnosed with breast cancer at the age of 32. With only a couple of weeks to process the news, she has had to make tough, life-changing decisions regarding the course of action and decided to get a double masectomy. She has opted for immediate treatment with skilled surgeons, close to her parents' home in California where she will have the support necessary for recovery. Gillian's first procedure is March 18, 2016. Since no one plans for these events, or the expenses that go along with them, I asked Gillian if I could set up this account. She is already out-of-pocket for her deductible and tomorrow she will be $5,500 out of pocket total. Then, there are the after-surgery costs of materials, a second surgery, not to mention the costs she has already incurred for the back and forth travel from Colorado/California to engage surgeons, a return to Colorado for futher presurgery testing and to wind-up her work affairs. This is a long surgery and recovery process covering a couple of months with some unknown treatment until after surgery results are received. If all goes well, she will return to Colorado and then have occasional follow-up appointments in California for testing. ALL of the money raised from this campaign will be going towards medical and travel costs associated with her surgery and post-sugery care. I cannot express how much your support will mean to Gillian. Many of you reading this request already know Gillian personally, which should make the decision to help her easier. However, for those of you who do not know her, Gillian is one of the most compassionate, loyal, and grateful human beings I have known. She is someone who will intervene to help anyone needing a hand. I am proud she is my friend, fortunate to have her in my life, and while saddened life has taken this turn for her, I feel determined that reaching out to all of you will work toward her healing process. For those of who do not know Gillian personally, thank you for trusting me and this campaign. Every single dollar donated will help make a difference, and lessen any stress, by reducing or eliminating any financial burden she will incur due to this unfortunate turn of events. Much love and largest THANK YOU! The enthusiasm of the last update to move life along has steadily increased exponentially, with less stress thanks to YOU ALL who have cared and contributed. Again, she thanks you with hugs. Gillian is able to do things more independently, visit with friends periodically, and has had the endurance over the last 3 weeks to keep up a hectic schedule with drives to multiple doctors’ appointments each week in Los Angeles. During a visit with her breast cancer surgeon, it was strongly recommended that Gillian freeze her eggs immediately as she would only have one opportunity prior to chemo. 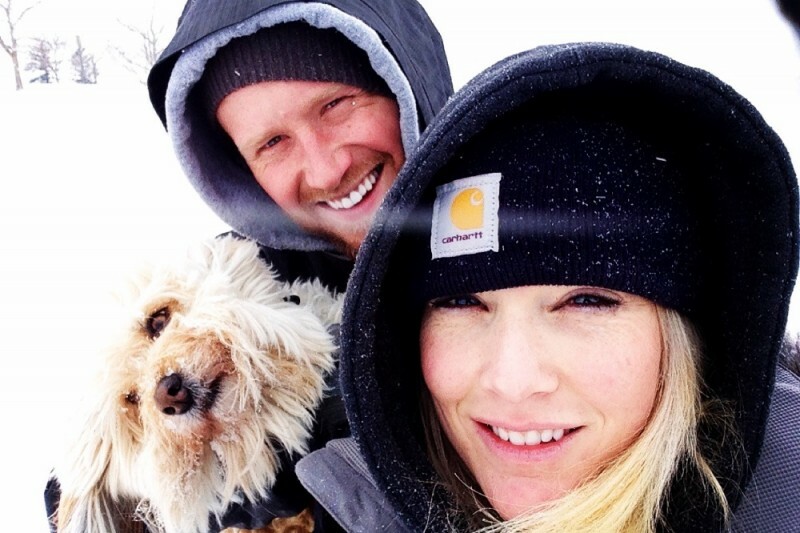 She and Eddie made the decision to freeze embryos for stronger viability. This process entails multiple injections daily that Jilly must give herself in the stomach and multiple weekly appointments with the fertility specialists where measuring the progress of eggs takes place. Gillian was able to receive a grant from LiveStrong Fertility of Hope Program, because she is a cancer patient, and this reduced the out-of-pocket expense for this process to a bit over $8000. In addition to these weekly visits, she also saw her surgeon and her mastectomy reconstruction surgeon in order that her incisions and drains are monitored, and that the mastectomy expanders are slowly filled. Add to this, a whirlwind trip Monday eve to Colorado to meet with her oncology team who specialize in young women's breast oncology at the University of Colorado. They discussed the various cocktails for chemo treatment, and then she returned to LA the following night to continue with her other doctor appointments. The plan is that the eggs will be harvested early next week; she will have one final visit with her reconstruction surgeon, and then return to Colorado immediately for chemotherapy and to resume work. We will keep you updated as her progress continues. Again, we thank you so much for your kindness, generosity, and continued support. Your contribution, prayers, love and positive energy are allowing Gillian to keep moving forward with the best possible care, stay positive, and fight. Good news: Gillian was FINALLY released from the hospital Monday night, and is now at her parent's home in California. It could go without saying that there is considerable pain, but Gillian is a fighter and determined to increase her tolerance and work-arounds. 1st post-op was today; 2nd is next week. Not so great news: Chemo and radiation are both necessary and simultaneous beginning within a month. So it is going to be a very, very, long road ahead. What we didn't know are the not covered costs associated with chemotherapy treatment. Round 1: a cocktail of 2 drugs for 4 sessions. Round 2: 1 drug for 12 weeks. Each chemo treatment is only covered 70%, leaving Gillian out-of-pocket approximately $310 per visit. Then there is the rental of a cool cap and apparatus to prevent hair loss ($3600), and the rental of Theradome ($1090) to increase any hair thinning or some loss. Lastly, home care/physical therapy that will be needed outside of the allotment. While her energy level isn't what you are used to, her enthusiasm to rid this disease is at an all time high. Gillian reemphasizes how grateful she is at the outpouring of love, and thanks you again, and again, and again. With initial surgery complete, we have some answers. Gillian can sit up and even took a small walk. Gillian is still in the hospital as she is having quite a bit of pain. The hope is that she will be released on Monday to her parents to continue her healing process over the month. At that time, the doctors will determine whether she is ready for chemo therapy over the next 5 months with radiation to follow. The plan is the doctors in Los Angeles will continue to direct her recovery. The hope is that Gillian will be able to fly to Colorado for her chemo sessions and fly back to California for intermittent follow-ups. Wow! Speechless. We have officially reached 50% of our goal in 24 hours. I've spoken to Gillian and Eddie since this campaign went live and I wish I could capture how humbled and thankful they are by your donations and messages. Both of them have genuinely communicated how overwhelmed they are with the love and support that has been poured out on them! I'm happy to announce even better news, surgery was successful and Gillian is in recovery surrounded by Ray, Jenni and Melissa. We anticipate additional information tomorrow.